• Eicosapentaenoic (EPA) and Docosahexaenoic (DHA) are essential Omega – 3 fatty acids typically found in cold-water fish. Essential fatty acids are essential because your body cannot make them and you need to get them from food to stay healthy and to avoid premature mortality. • This meta-analysis demonstrates that consumption of 2 grams or more of EPA and DHA can significantly reduce blood pressure. • EPA+DHA–rich or –fortified foods were LESS effective than supplements with regards to lowering BP. • Collectively, the evidence from RCTs indicates that provision of over 2 grams of EPA+DHA may reduce blood pressure. • Hypertensive individuals who are not on anti-hypertensive medication showed the most improvement. This study was published in the reputable American Journal for Hypertension about 3 weeks ago. Did you read any headlines on the results of this study? Where were the sound bytes on the health benefits of fish oils? If we make health decisions based on what we hear or read from the media you are in trouble. Attracting “eyes and ears” through sensational reporting takes priority these days with most media outlets. Headlines like – “Fish oils may raise prostate cancer risks, study confirms” are incorrect, misleading and irresponsible. A Smart Supplement consumption regimen should have multiple systemic benefits and not only help one part of the body or prevent just one disease. Lowering blood pressure can reduce the risk of coronary plaque rupture, stroke, and complications of stroke, including related cognitive decline, thus improving clinical outcomes for higher-risk populations. The other key point to this study is what nutritionally oriented practitioners have learned for decades – consumption of Omega 3 fatty acids work best in dosages higher than 2 grams a day. Miller and his research team point out that most benefit was experienced when dosages were 2 grams or higher in hypertensive people who were not on any medications for hypertension. Clinically, I start patients at about 2400mg a day and adjust accordingly thereafter depending on how patients respond. Important to know that patients on blood thinners like Heparin or Plavix should consult with their physician before consuming fish oils as they too have blood thinning properties. Also, those undergoing surgery should stop taking fish oils one week prior to their procedure. Miller PE1, Van Elswyk M, Alexander DD.Long-Chain Omega-3 Fatty Acids Eicosapentaenoic Acid and Docosahexaenoic Acid and Blood Pressure: A Meta-Analysis of Randomized Controlled Trials. Am J Hypertens. 2014 Mar 6. Dickinson HO, Mason JM, Nicolson DJ, Campbell F, Beyer FR, Cook JV, Williams B, Ford GA. Lifestyle interventions to reduce raised blood pressure: a systematic review of randomized controlled trials. J Hypertens 2006; 24:215–233. Great way to start the week with valid, clinically acurate info to help all of us, even those who are not fighing prostate cancer, to take control of their personal health choices. As my late father used to say, “believe only half of what you read, and none of what you hear!” Have a great week, Doc! What about the two studies below on the question of fish oil and prostate cancer? The first does evidently show a high correlation between fish oil/DHA and aggressive forms of prostate cancer. The second is a more recent study by the same researcher. Hi Paul, the link between fish oils and increase risk of prostate cancer is causing unnecessary controversy and confusion. As a result, people started giving up their consumption of fish oils and by doing so causing more harm than benefit. 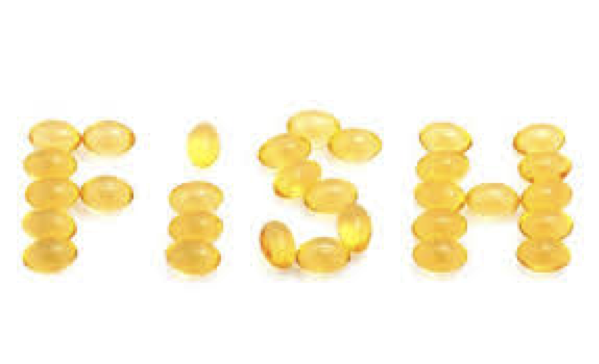 I will share some links with you where I have debunked the foolish notion that fish oils increase prostate cancer. But, in a nutshell, no , fish oils do not increase the risk of prostate cancer and the exact opposite is true – it’s protective. Hi Dr. Geo. This is a great article but does it mean that people with normal or low blood pressure should not take Fish Oil supplements? Please let me know when you can. Jim, there is no evidence that fish oils abnormally lowers blood pressure. However, those with ‘normal’ very low pressure should be careful with fish oil consumption as it theoretically may further lower blood pressure. Such people should take fish oils under the supervision of their physician. Thanks for the great question Jim.